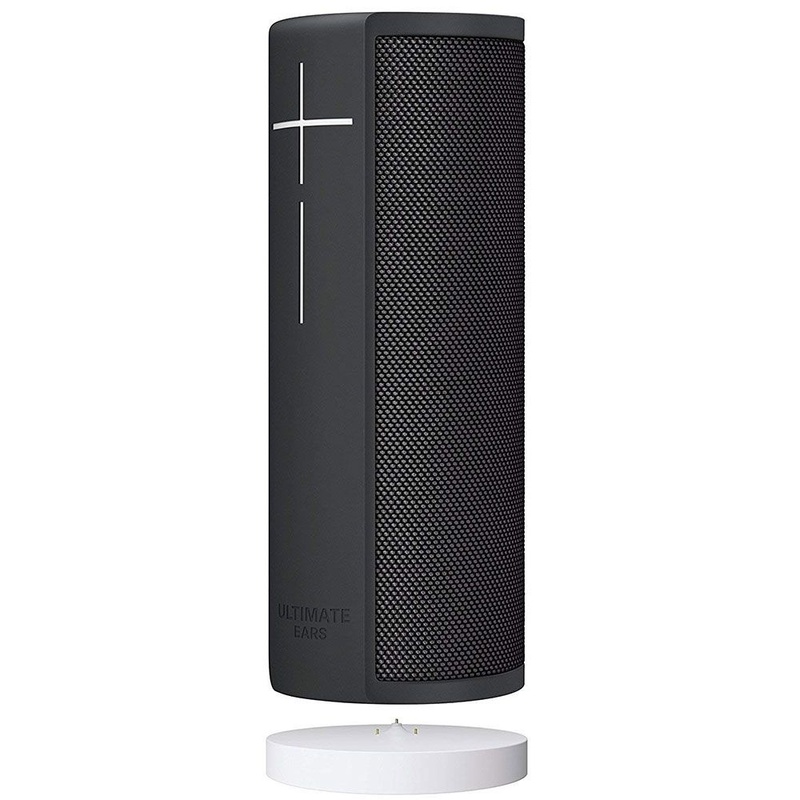 The Ultimate Ears MEGABLAST Portable Wi-Fi/Bluetooth Speaker w/ Charging Dock. - With Amazon Alexa hands-free voice control: Just ask Alexa to blast tunes from Amazon Music, iHeart Radio or TuneIn, change tracks, check the weather - or try any of Alexa's skills. - Wi-Fi and Bluetooth enabled: Use the Alexa Voice Service at home or on the go whenever connected to Wi-Fi or a mobile hotspot or stream music via Bluetooth from your phone. - Waterproof and virtually indestructible: Never worry about going easy on it, your music will always be on point. The speaker is IP67 rated and can be immersed in water up to 1 m for 30 minutes. - Smarter over time: Update your speaker with the Ultimate Ears app as new features become available.